Thanks to all those members who helped out especially our organisers Ian and Neil Hannam, Glen & Sue for the Barby, Mark Smith for the Live Music and of course Nick Jones and Family for being such excellent Hosts (and competitor!). We were also able to make a donation to a fund to help a local girl with Muscular Dystrophy thanks to all our riders. 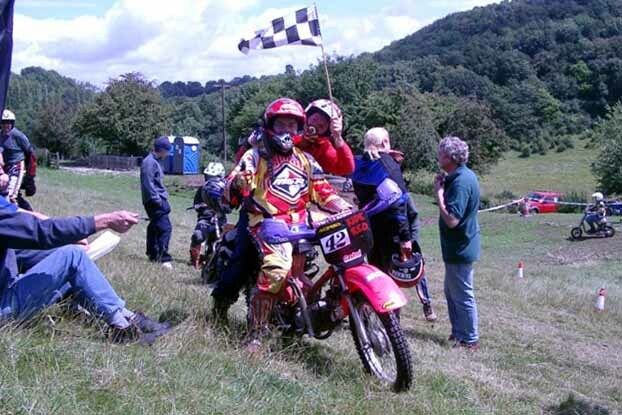 THE BEAUTIFUL game was given a makeover on Sunday when Forest motorcycle enthusiasts held their annual motoball match with arch-rivals from Cheltenham. Once again Cheltenham Home Guard MCC almost swept the board at this fun event, staged just outside Coleford but as with the more popular code played at Euro 2004, the game was the real winner. Six games each of four aside saw a cumulative tally of West Glos and Dean Forest MCC 2, Cheltenham 5. Although the matches were only two minutes each way the action was frantic with riders - and their mopeds - gasping for breath at referee’s final whistle. 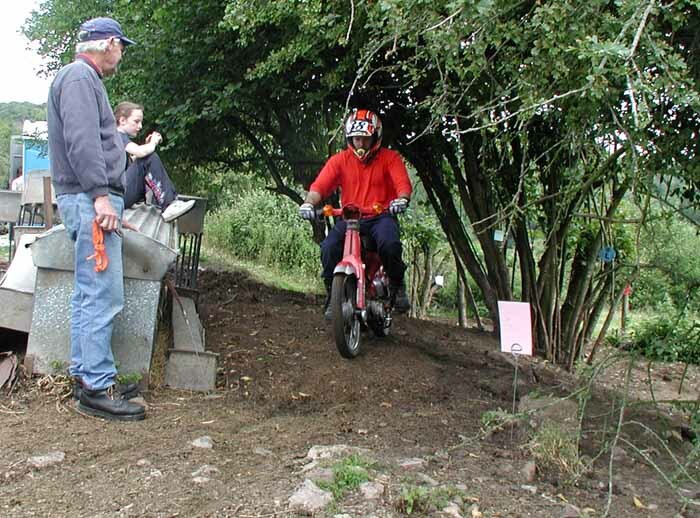 Now in its ninth year, the event has expanded in to a moped extravaganza, with two man enduro-style races, a grass track, a hill climb, an observed trial and a slow race. 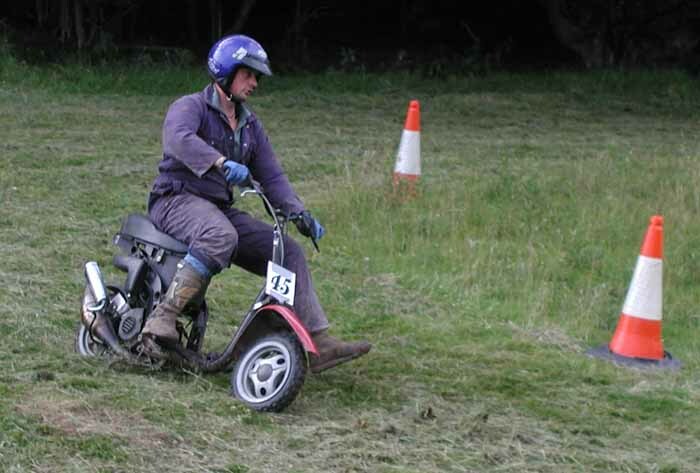 Cheltenham Home Guard’s Dean Lee and Paul Tippins won the 12 lapper on Saturday and the 20 lapper on Sunday but Paul also proved he can make his moped crawl along by winning the slow race too. Dean won Sunday’s observed trial on two marks lost, with team mate Rich Hall second on five and chief course plotter Ian Hannam on six. Arran Wells upheld the Forest’s honour with victory in the two man hillclimb. 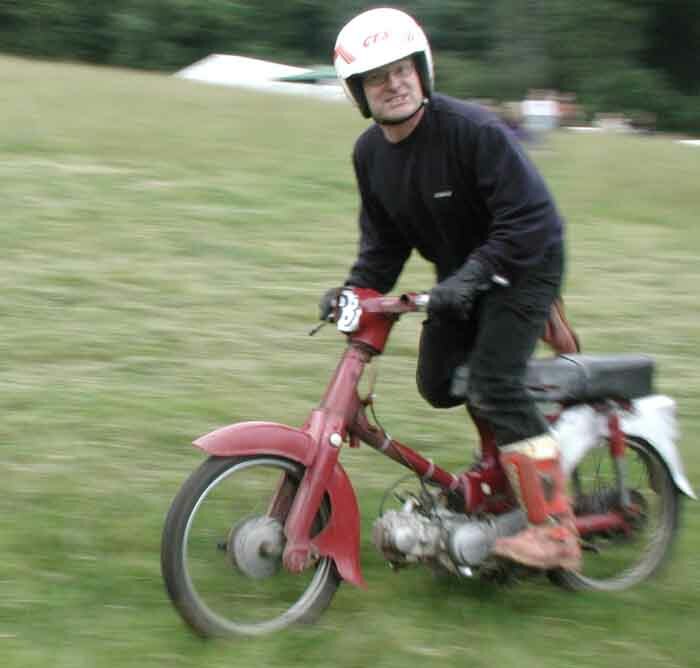 But the Foresters were humbled in the team grasstrack event by 67 points to 42, despite Ben Bishop’s daring double overtaking move in one corner. 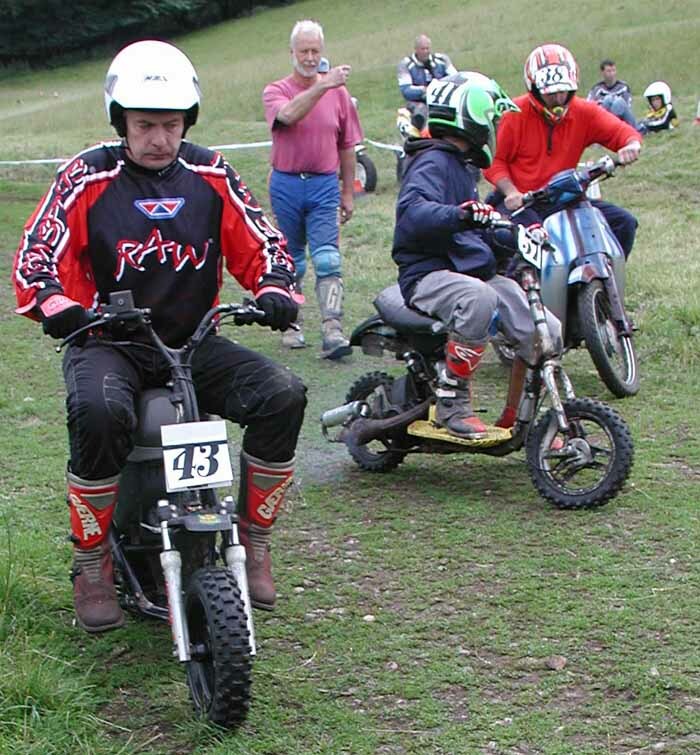 Many thanks to organisers West Glos and Dean Forest MCC and the landowner for putting on an excellent event. Enduro: Dean Lee and Paul Tippins. Grasstrack: CHG MCC 67, WGDF MCC 42. Motoball: CHG MCC 5, WGDF MCC 2. Trial: Dean Lee 2, Rich Hall 5, Ian Hannam 6.